Kerala Government Certificate in Engineering (KGCE) Courses are of two-year duration and are designed for promoting self employment. These courses are conducted in six disciplines: Civil Engineering, Electrical Engineering, Mechanical Engineering, Automobile Engineering, Refrigeration and Air conditioning and Electronics and Communication Engineering. Eligibility for admission is S.S.L.C. The public craze for ownership of an automobile never ends. 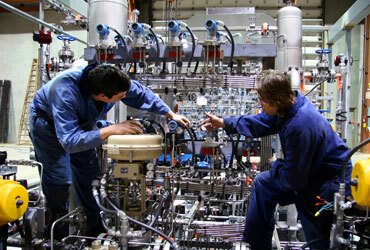 The demand is increasing manifold every year. This situation has increased opportunities for trained people in automobile engineering. The course in Automobile Engineering therefore includes all the skills needed in the production, repair and maintenance of automobiles. Those who pass the course successfully can secure job not only as an automobile technicians, but also as vehicle inspectors or salesmen. In this modern world one cannot imagine living without machines. In every walk of life we find machines taking over most of the household and field work from our hands, thanks to technological advances in the field of mechanical engineering. 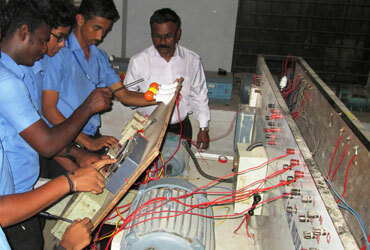 Here the students are given training in theory as well as in practical sessions. 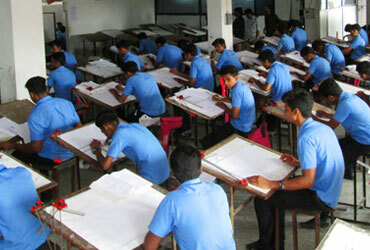 Machine drawing, sketching, tracing, estimating and plant shop drawing are included in the curriculum. Planning and erection of huge plants, factories, installation of heavy foundations, industrial and production engineering are additional subjects in which the students are trained. There are several employment opportunities in workshops, departments like PWD, KSEB and shipyard for students qualified in this area. The consumption of electrical energy as an essential commodity is increasing manifold. The major sources are hydropower, thermal, nuclear and wind. All these sources are not enough to cope up with our increasing need. We have to think of tapping wind and solar energy on a large scale to meet our future demands. Electrical Engineering students are taught theory and practicals to enable them to perform installation and operation of all types of electrical machineries like DC and AC motors, generators, alternators, transformers, capacitors, etc. Reading of measuring devices like voltmeters and ammeters is also covered. House wiring, load calculation for electric connection, installation of electrical appliances, their servicing and repair are also taught. The institute also helps them to get a license so that they can independently work and seek self employment. Employment opportunity is also available in PWD, KSEB and TELK to name a few. This is a course which attracts lot of students as it is a forerunner in employment opportunity in our country and the Middle East. There are numerous brands of refrigerators and ACs are available in the market and this is the reason why there are lots of job opportunities. The institute teaches students the basics of electricity, refrigeration and air conditioning along with practical knowledge in our well-equipped lab with a sufficient number of refrigerators and air conditioners. Samples of the latest type of refrigerators and air conditioners are also available to make the students aware of the latest technologies in the field. The latest techniques to reduce pollution from CFC gases produced by coolants will also be included. The job opportunities are in showrooms as salesman, service mechanica, repair and maintenance staff etc. It also acts as a starting point for self employment.